Remarkable, center entry colonial in peaceful neighborhood! Grand foyer invites you in with the focal point curved staircase. Home boasts rich hardwood floors throughout & light filled rooms. Expansive living room flows into dining room perfect for entertaining friends & family! Fully updated kitchen finished in timeless white cabinetry, Quartz countertops, High End Stainless Bosch Appliances, Breakfast Bar, Pantry Closet & large garden window is stunning! Family room highlighted with fireplace & sliders to patio. Office nook & 1st floor laundry with Bosch W & D complete first floor. Master suite offers sitting room, fireplace & private bath with separate shower & whirlpool tub. Add'l bedrooms are all large w/great closets! Rec room in basement has a surround sound system, plus Utility room & storage. Sump w/Battery Back Up! Patio is Unilock Paver & Bluestone Pavers with LED lighting. New tear off roof 2016. Pride & Care taken in this stunning home! Close to Town and Top Schools! Kensington West of Rand Road, NORTH ON Rammer to Home! This Arlington Heights, Illinois Detached Single is located at 133 North Rammer Avenue in and has 4 bedrooms, 2 full & 1 half bathrooms with approx 2,680 square feet and a Partial Finished,crawl Basement. It has been listed For Sale on Blue Fence for 70 days and is currently Cancelled on the Multiple Listing Service (MLS#: 10270208) with a list price of $ 559,000 or a price per sqft of $ 209. 133 North Rammer Avenue is located within the Arlington Heights City Limits, 60004 zip code and in Cook County Illinois. The Detached Single property was built in 1967 with a lot size of Less Than .25 Acre and has Garage with 2 Spaces. School age children living at 133 North Rammer Avenue would go to Elementary School at Windsor Elementary School (District 25), Middle School at South Middle School (District 25) and High School at Prospect High School (District 214). Do you have questions about 133 North Rammer Avenue in Arlington Heights? 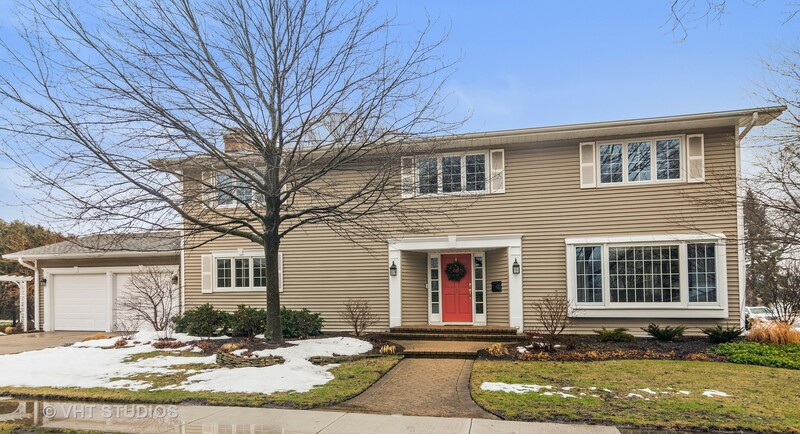 Learn more about this property and other Arlington Heights real estate for sale by contacting the best high selling real estate agents REALTORS® with awarding winning Blue Fence Real Estate. Simply request more information from a top rated Blue Fence REALTOR® or browse all of the most updated listings of Arlington Heights Homes For Sale. I was searching on Blue Fence and found this listing. Please send me more information about 133 North Rammer Avenue, Arlington Heights, Illinois 60004. Thank you.